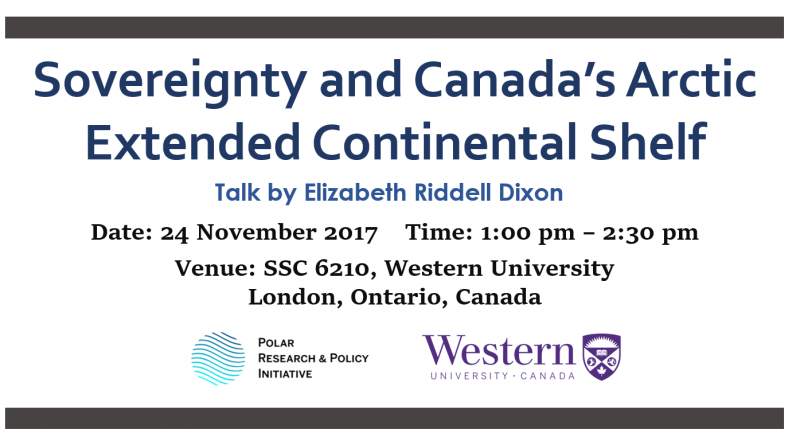 On 24 November 2017, Polar Research and Policy Initiative and the Department of Political Science, Western University, will be co-hosting a talk by Elizabeth Riddell Dixon titled ‘Sovereignty and Canada’s Arctic Extended Continental Shelf’. The event will start at 1 pm and will be held at SSC 6210, Western University. 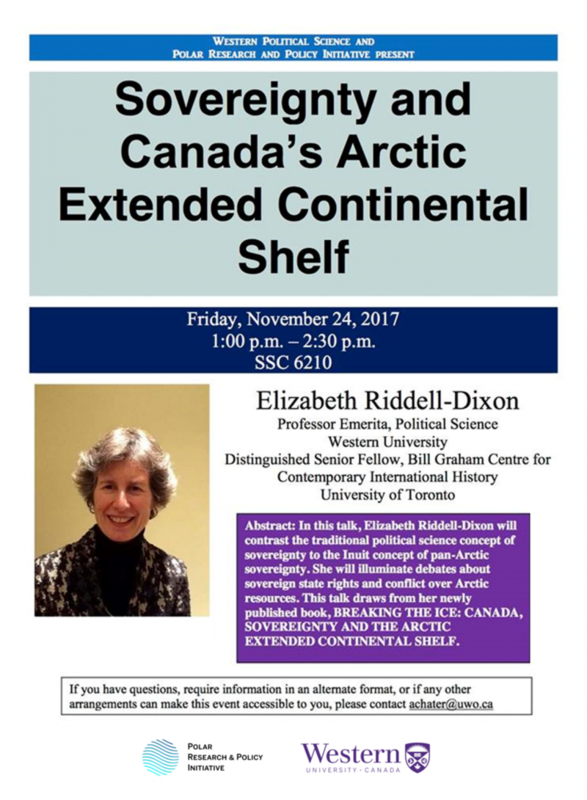 Elizabeth, in this talk, will contrast the traditional political science concept of sovereignty to the Inuit concept of pan-Arctic sovereignty. She will also be looking into debates on sovereign state rights and conflict over Arctic resources. You are most welcome to attend.